Nyakim Gatwech now stands tall, has amassed over 200,000 followers on Instagram, and is quietly taking over the fashion world after being deemed "Queen of the Dark" -- but it hasn't always been easy for the young model. 24-year-old Gatwech, who was born in Ethiopia but is from Southern Sudan, was frequently bullied for her dark skin. "You black as hell, take a shower," she was once told growing up -- and recently, her Uber driver asked her if she would ever bleach her own skin. Gatwech told Yahoo! Beauty that she was often "insecure" of her complexion and it took her a while to be comfortable in her own skin. "There was a time in my life where I considered bleaching myself to avoid the dirty looks, the laughter, and for boys to find me attractive." And though she now is starting to embrace her skin, Gatwech has found that some models, makeup artists and designers still discriminate against her. However, the young model has fought back against these prejudices with poignant Instagram posts and interviews. "How on earth they expect me to answer that question?" 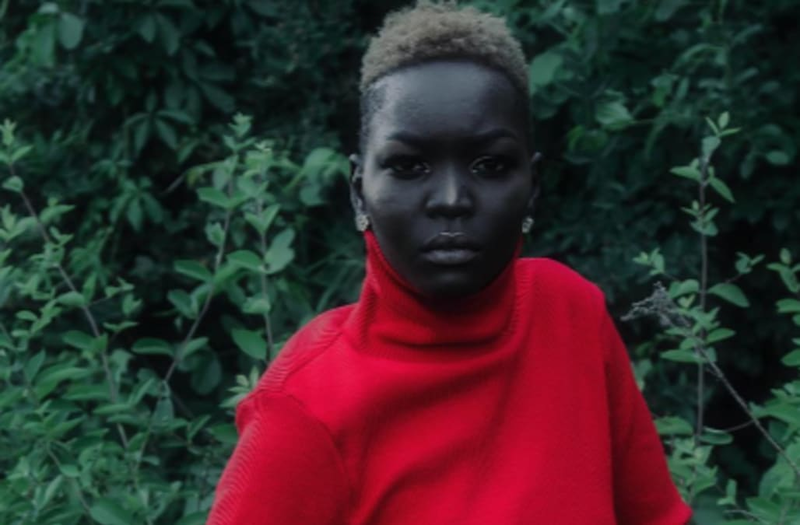 she said in one Instagram post, referring to questions of why her skin is so dark, "Beside the fact that I'm [blessed] with melanin and I love all this darkness." "Beauty is in the beholder," She said in another. "My chocolate is elegant. So is what I represent. I represent a nation of warriors." "All women are equal," Gatwech said, "and we should stand together rather than be against each other." We couldn't agree more.